This year marks the eighth anniversary of the Licensing Academy in Intellectual Property and Technology Transfer, held June 18-29 at UC Davis School of Law. Offered jointly by UC Davis School of Law International Programs and UC Davis Public Intellectual Property Resource for Agriculture (PIPRA), the Licensing Academy attracts technology transfer officers, scientists, and entrepreneurs to King Hall from all over the world. During two weeks of in-class instruction, hands-on case studies, and field visits to law firms and startups, participants explored U.S. models of intellectual asset management and technology licensing. Speakers included UC Davis professors as well as intellectual property managers and technology transfer officers from Venture Catalyst and other campus entrepreneurship programs, as well as world-class lawyers and entrepreneurs from organizations including international law firms and Bay Area start-up companies. Among the program’s most unique features are its interdisciplinary curriculum and diverse student body. This year’s group was composed of 23 participants from 16 countries in North and South America, the Caribbean, Africa, Europe, and Asia. Another unusual feature of the Academy is the large proportion of participants who receive financial support to attend, made possible by scholarships to participants in developing countries. These scholarships cover a portion of tuition and/or travel expenses and are meant to encourage participation from all sectors. “A core aspect of our mission,” said PIPRA Executive Director Alan Bennett, “is making the world a better place, and we mean that. This program helps spread constructive practices for innovation management to improve lives." As an International Commercial Law LL.M. student at UC Davis School of Law, Steve Lutzmann has taken a variety of courses at King Hall over many years. Lutzmann also holds a Master of Law from the University of Zurich, Switzerland, and several additional legal diplomas in litigation, compliance, and management from the University of Cambridge, UK. He is currently the head of legal and compliance for a Zurich-based bank owned by Credit Suisse Group, one of the largest wealth managers and investment banks. Carlos Baez-Pagan is the Technology Manager at the Technology Transfer Office of the Puerto Rico Science, Technology and Research Trust. Although he now works in tech transfer, his career began with a Ph.D. in biochemistry, and Baez-Pagan often uses his scientific background to connect researchers and his Tech Transfer Office. In the course of his work, Baez-Pagan has attended conferences about patents and licensing before, but says that the Licensing Academy is so far the best for a variety of reasons, including the way the program promotes networking. 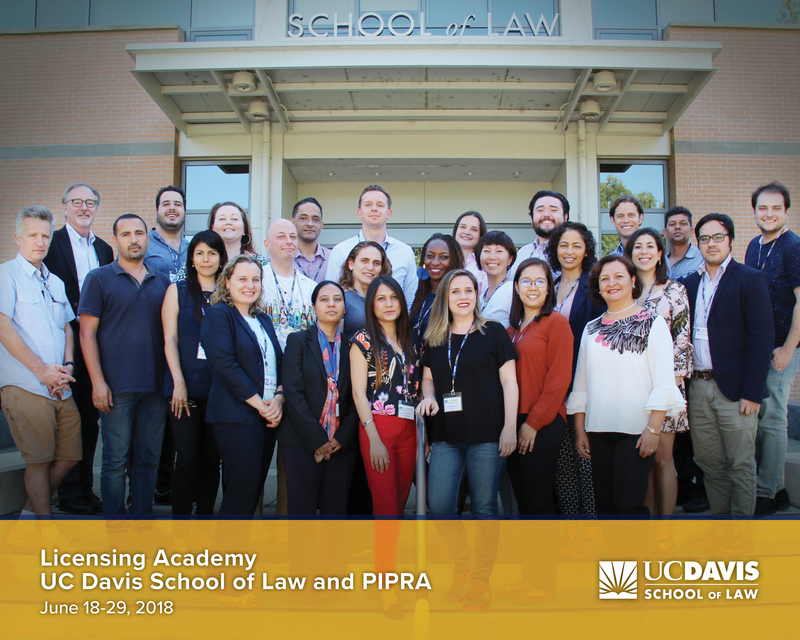 For information about the Licensing Academy and other International Programs at the School of Law, please visit law.ucdavis.edu/international or contact Kate Asche, internationallaw@ucdavis.edu or 530-757-8569.